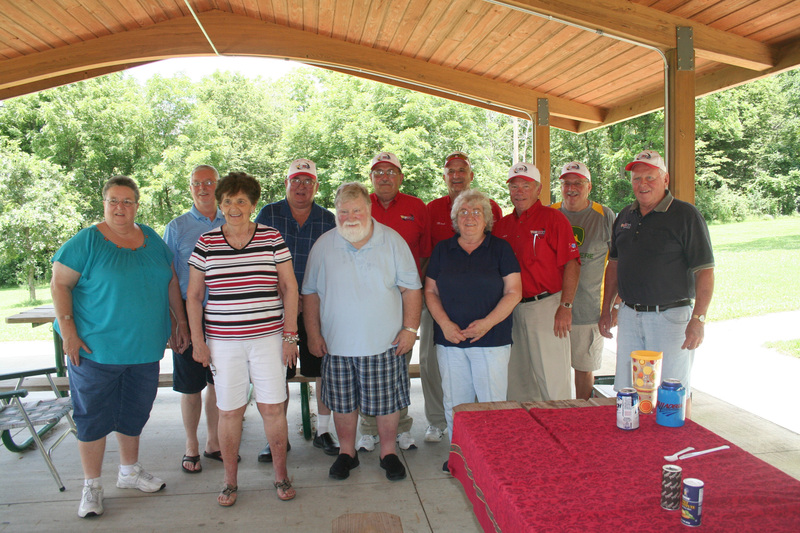 After saying for years that we were going to do it, the officials of two former Midwest-based, dirt track, late model stock car touring series, NASCAR’s Busch (later O’Reilly) All-Star Series and the World Dirt Racing League, gathered for a picnic today (July 26, 2015) at Rock Creek State Park near Kellogg, Iowa. Joining us were our spouses, who either worked at our sides at the track or kept the home fires burning while we were gone. It was a good time today with some great people and we vowed to do it again next year. The All-Star Series, directed by Jim Wilson, ran from 1985 through 2001 and was still quite popular when NASCAR (unwisely in my opinion) ended it. WDRL, created and operated by Jim and Nancy Wilson, then ran from 2002 through 2009. It ended because of the recession the country had been dealing with since 2008 or so. Assisted by my wife Sherry, I was the media coordinator (handling media relations and publicity) for the All-Star Series from 1990 through 2001. Although I didn’t travel with WDRL after the first race or two like I had done with NASCAR, I worked from home handling series media needs and publicity. The officials, most of whom worked for both series, have always been like family. And it was good to see them again and to share memories of the past. Thank you to my wife for taking this group picture. They say truth is stranger than fiction. And it often is. One day recently I received phone calls from fellow Walcott resident Verna Henning and my brother, Bruce Roberts, who lives in Champaign, Ill. And both had the same story to tell me. Bruce and his wife Faith were in Albuquerque, N.M., to visit their son and my nephew, Blake, who is in the Air Force and stationed there, and his wife Raquel. My brother is an avid golfer and plays every opportunity he gets. 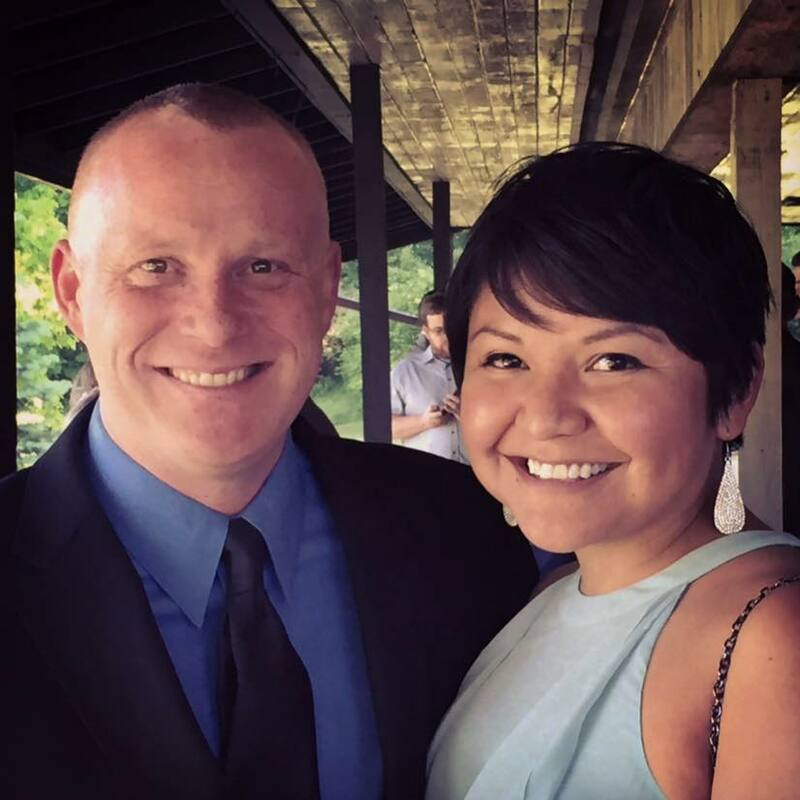 He decided to play at Paa-ko Ridge Golf Club, a course in the Sandia Mountains 20 minutes from Albuquerque, and Raquel said she’d accompany him to drive the golf cart. When Bruce went into the clubhouse to pay for his golf game, the woman behind the counter, Renae Perrine, asked him where he was from. He told her he lived in Illinois but originally was from Iowa. “Where in Iowa?” she wondered, noting she also was from the Hawkeye State. “The Quad-Cities area,” Bruce answered. Renae was surprised. She told him she grew up near there and was very familiar with the area. She then inquired where Bruce graduated from high school. It turned out that both of them were 1972 graduates of Davenport West. What are the chances of that? “But we hadn’t known each other,” Bruce told me, because there were 800 students in their class. Bruce told Renae that he had a brother and sister-in-law who live in Walcott. She said she had lived in Walcott and her mother, Verna Henning, still lives there! My wife and I have known Verna, who lives just a couple of blocks from us, for years. 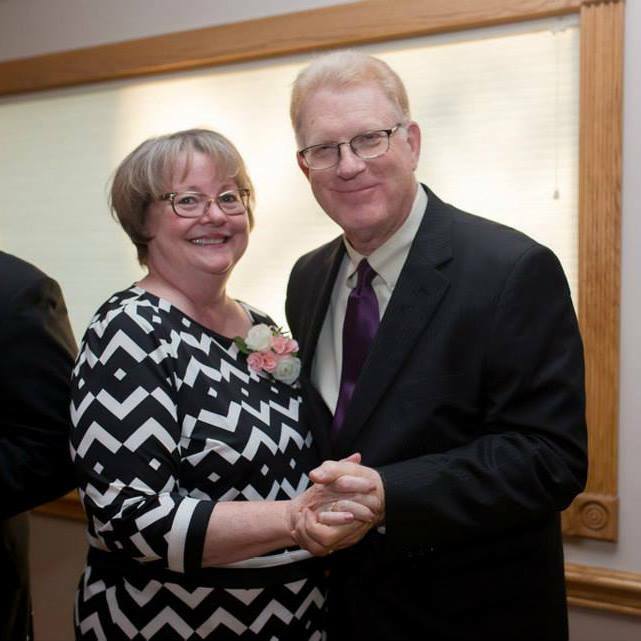 We also knew her late husband, Ernie, who had been a mechanic at Dietz Ford. I asked my brother how he did playing golf that day after the unusual revelation in the clubhouse. It wasn’t his best game, he said, because he was excited about the coincidence but also was generally out of breath. The course, he explained, has a 6,500-foot elevation. “After several holes, I stopped keeping score,” Bruce said. “I was more concerned about catching my breath. “If you don’t exert yourself, you’re fine. But I was excited, plus I was walking back and forth to the cart. The course is on the side of a mountain, so it is hilly. I was walking up and down hills and wondering what was wrong with me — I couldn’t catch my breath. Raquel is used to the thin air because she was born and raised in New Mexico. Copyright 2015 by Phil Roberts, Creative Enterprises. This ran as a column in the North Scott Press, Eldridge, Iowa.